Over the past 20 years, SeSDERMA Laboratories has developed over 300 innovative skin care products and treatments, paving the way for many dermatology breakthroughs. Our specific skin treatments and products are world renowned in the medical community for their effectiveness, and quality. Our products are produced under the highest standards with the latest technology and finest ingredients, providing the best products possible. 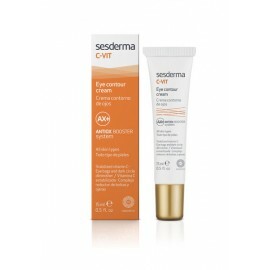 Eye contour cream Cream indicated for the hydration and protection of the eye contour. 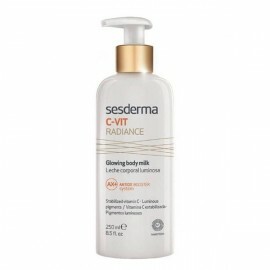 Treats and..
Illuminating concentrate A surge of pure Vitamin C and Retinol, this highly concentrated formula ..
24h cream for all skin types Antiox potent Vitamin C cocktail encpasulated in liposomal bubbles..
Sesderma C-Vit Radiance Glowing Body Milk is a light lotion that boosts the skin's radiance.. Eye patches with vitamin c Contains vitamin C to protect and strengthen the resistance of the ski.. 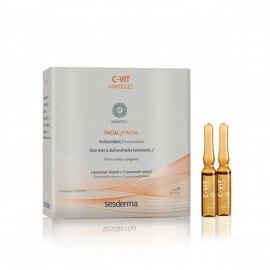 Intensive serum with vitamin c Daily defense booster serum. Moisturizes the skin and provides an ..
Daily fluid with vitamin c The skin on our face is subjected to many aggressions (pollution, wind..
Radiance mask Facial skin is constantly subject to many aggressions (pollution, wind, cold, tobac..